In its 12 th year, the Rydens Enterprise School (RES) Apprentice Competition is open to any student in the sixth form who wishes to take part. Students apply in writing at the start of the academic year and the successful applicants are invited to take part in early October. Technology Centre Hursley and The Bingham Hotel Richmond-upon- Thames. The businesses created a variety of challenges, based on a real life issue or an area that they were currently focused on, for competitors to work in teams or pairs. 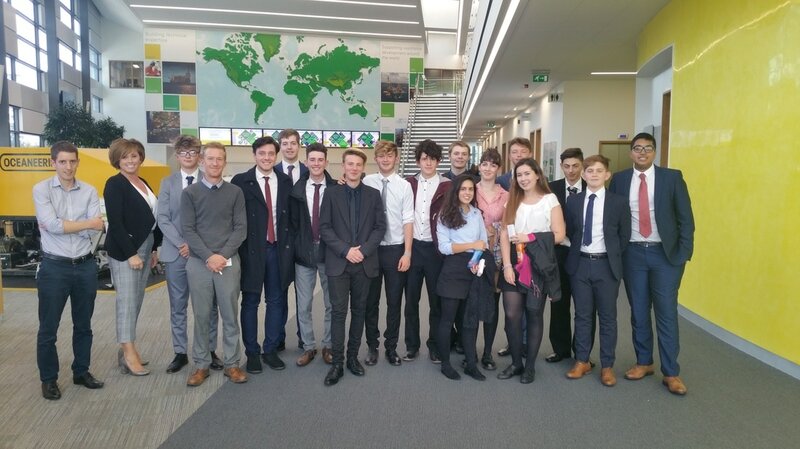 Throughout the competition students were encouraged to be entrepreneurial, articulate, committed and confident needing to impress judges at each round. Contestants were whittled down to a final 3 and were given time the task to ‘design and complete an innovative and creative multi-media advertising campaign for the NEW RES school which will open in late 2017’. The final was an all-male affair between Joe Taylor, Jack Saunders and Adam Lamont held at RES with the judging panel consisting of Paul Archer – IBM Big Data Business Development Manager, Erick Kervaon – General Manager – The Bingham Hotel, Richmond and RES Head Teacher Mrs Anne-Louise Payne. Other guests attending the final included Mayor of Elmbridge Councillor Tannia Shipley and Consort Mr Nigel Shipley, many local business contacts, school governors and RES invigilators. They were judged on their ideas and innovation, the success of their idea and the communication and resources they used to promote their idea. Footage included time lapse material of the school build to date plus shots of the classrooms, Main Hall, Sports fields to give the judges a feel of what our new school would be like. Presentations showed how they were going use leaflets, fliers, school visits, links via our school website and social media to promote all aspects of the new school. 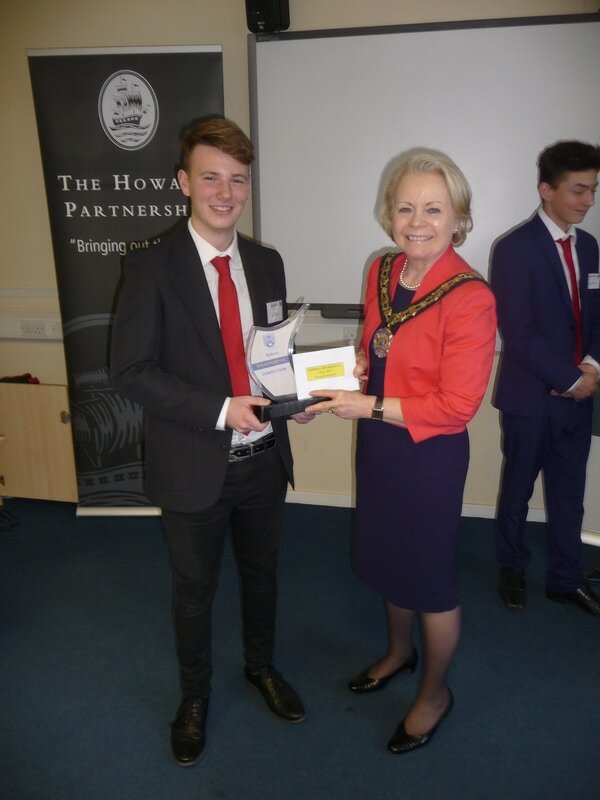 Each finalist undertook question and answers from the Judges and the audience and after that the panel decided on their winner – Joe Taylor – who was awarded his prize by The Mayor. Joe’s winning entry will be used as the main form of promotion for the new school.